Many years ago a ship named the Endurance set out to sail for the Antarctic, with Ernest Shackleton being its captain. This wasn’t his first time exploring the Antarctic, and he hoped to unveil some of the many mysteries the land of ice holds for them. 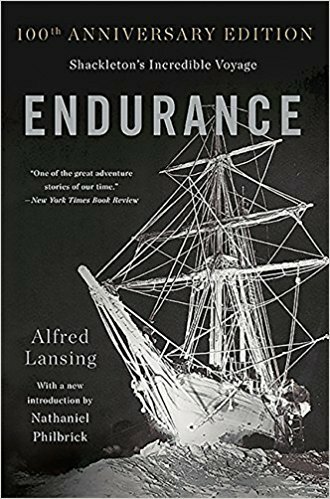 Unfortunately, the Endurance became stuck in ice, eventually forcing Shackleton and his crew to abandon the ship and set up a camp on an ice float. After more than a year spent in this white hell, drifting this way and that in an attempt to find someone who would rescue them, the crew finally managed to find civilization and make their way back to where they started. Endurance by Alfred Lansing is a chronicle of this journey, detailing what happened during that infernal year during which the crew spent floating in the rather inhospitable waters of the Antarctic. Greetings to everyone once again, and welcome back for the twenty-second issue of Gliding Over the World of Literature, where we always have interesting insights into the world of books. This time around, we are going to be looking at Jesus’ resurgence is a literary character rather than a historical figure, a bizarre ban the county of North Carolina decided to impose on Ralph Ellison’s Invisible Man, and we will top things off with a selection of five banned books that are really worth a read. 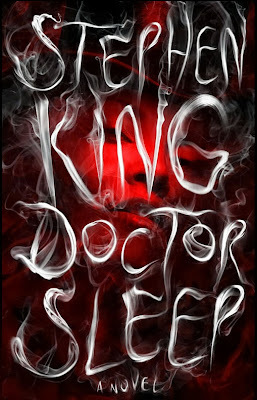 Though Stephen King may have gone through somewhat of a slump recently, it seems he has returned to his original form in his last couple of novels, and in his latest one, Doctor Sleep, he goes back to his glory days when he wrote The Shining. What does that mean? Well, this time around we follow Dan from the original story, but he has grown into an adult, one who cannot leave his dark past behind. In an attempt to start over, he chooses to settle in a small New Hampshire community, where he uses his shining power to give comfort to the dying. However, as he makes the acquaintance of a twelve year-old girl called Abra Stone, he is thrust back into his own hell once again: the girl’s shining power is immense, but she is far from being safe as a group of immortals is trying to hunt her down. Why? Well, these “immortals” live off the steam produced by children with the shining power when they are tortured. 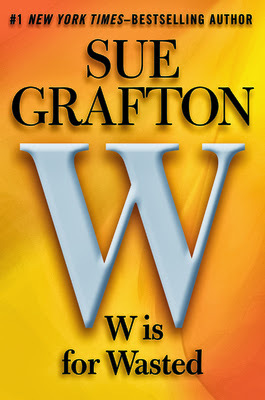 W is for Wasted by Sue Grafton is a pretty standard (as far as the formula goes) detective novel, starring Kinsey Millhone in her twenty-third appearance on paper. This time around, the mystery is a double-edged one as Kinsey must crack two seemingly-unrelated cases. The first one is the murder of a local private investigator who was known to be the sleazy kind, gunned down at the beach. The second case is a bit more curious, as a few weeks after the PI’s death a vagrant John Doe was found dead on the same beach. To make matters more interesting, the vagrant had Kinsey’s number in his pocket, and turns out to be a relative of hers, leaving her with more than half a million dollars. There was a time when Detroit was arguably the greatest city in America; the automotive industry was skyrocketing, and the city was at the center of it all. New factories kept opening up, creating many new opportunities for people to come over and try to live the American dream. However, somewhere down the line, things started falling apart, bit by bit. Today, Detroit is dangerously close to becoming a ghost town, having countless abandoned buildings (both private and municipal), severely under-budgeted public services and a rapidly-declining population. Charlie LeDuff, Pulitzer award-winning journalist, was born in Detroit, and the current state of affairs simply breaks his heart. For this reason (and perhaps some other ones), he decided to go back to his hometown and sort through its ruins in an attempt to not only understand what happened and how, but also to ensure the old Detroit is never forgotten. 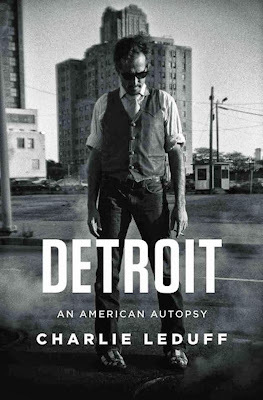 As one would expect, LeDuff conducts his autopsy of Detroit in the same manner as virtually any journalist would; interviews, interviews, more interviews, and a healthy dose of research. As you can guess, the interesting part of the book is mainly focused on what the people who live and were living there have to say about the situation. 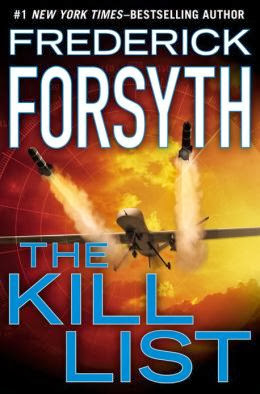 Many years ago Forsyth came to us, the readers, with a groundbreaking novel titled The Day of the Jackal, detailing a fictional (hopefully) assassination attempt on Charles de Gaulle. He has never given up his craft since, releasing one bestseller after the next, as he did again recently when he penned The Kill List. The book follows the top operative of TOSA (Technical Operations Support Activity), an agency which secretly specializes in assassinating the U.S. government’s most dangerous enemies. The operative has recently been tasked with hunting down the Preacher, one of the world’s most dangerous terrorist leaders. The plot thickens when it is revealed that one of the Preacher’s attacks killed the operative’s father. With the stakes being set as high as they ever were, an international hunt begins for a man with no face, name, or even approximate location. Though much of his reputation unfortunately rests on Catch-22, Joseph Heller is an author with a knack for writing original stories, ones none have thought of or managed to put on paper with such style and eloquence. Each one of his books has a unique and distinctive atmosphere to it, and it’s no exception for one of his more overlooked novels, Something Happened. In it, we are following the life of an average American man all while being privy to his thoughts and actions. Quite literally, we are observing the story from the perspective of that man’s brain. As some would say, he is indeed living the American dream, having a nice wife, career, children, house, and even mistresses. However, despite having achieved what he was taught to chase after, Bob Slocum (the man’s name) cannot find one thing: happiness. Something Happened is in the category of longer, more introspective novels which focus on depicting and analyzing reality rather than creating fiction. This book definitely is not for everyone, as one needs a pretty good attention span and patience to see the story progress… however, the real goal here is character development rather than anything else. Heller gives us a very interesting, and dare I say, extremely realistic insight of what it has to be like in the mind of an average American man. We see the world through his eyes, and thus can only perceive it through his biases and experiences. Though there were certainly many notable passages in Betty Smith’s life, perhaps the time that has marked her the most remains her childhood; at the turn of the century, her family of German immigrants made their way to the Brooklyn borough, where an everyday struggle for survival ensued. 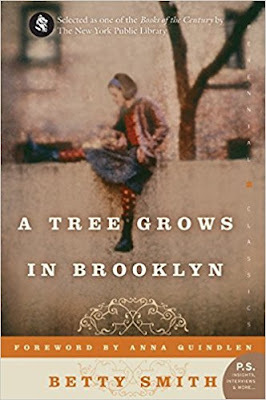 Smith even went as far as writing a book titled A Tree Grows in Brooklyn based on her experiences, and as it happens, it became one of the most renowned coming-of-age tales. The story basically follows a young girl, Francie Nolan, as she grows from a young girl to a young woman in the poor Brooklyn borough with her parents, in the process discovering many truths about life, both beautiful and brutal. It’s not for nothing that this book became renowned worldwide, and one of main factors contributing to its success is the level at which the characters are developed, especially Francie herself. She is a bit of a shy and lonely kid stuck in the grasp of poverty, but nevertheless she manages to find riches in her daily life, whether it be in her parents bringing pencils back home or the opportunity to sleep in the from room to observe the busy street below. 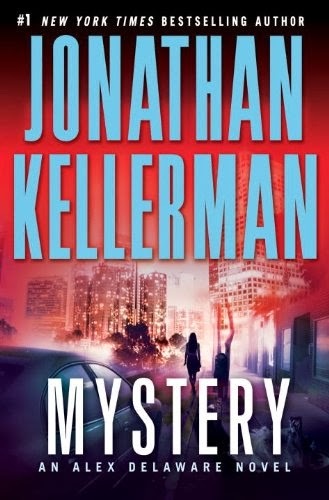 Though some may say that Kellerman has let himself go in terms of writing in the last few years, they are all people who haven’t read Mystery, a novel which proves that he still has more than what it takes to dish out magnificent works of art. In this book, we once again follow our beloved criminal psychologist, Alex Delaware, as he helps his detective friend, Milo Sturgis, investigate the murder of a young woman. As it happens, Alex saw that woman at the closing of the grand Fauborg Hotel in Beverly Hills, mysteriously sipping champagne and waiting in solitude for something or someone. As Alex and Milo get closer and closer to solving the case, certain facts make themselves known, forcing the two to really consider whether or not they want to and are ready to go deep down the rabbit hole… after all, they may end up paying with their lives. Mystery may very well be one of the best Alex Delaware novels that Kellerman has written in his time. It has everything you could ever ask for from murder mystery thriller; interesting and multi-faceted characters, a fast plot that makes you turn the pages, plenty of unexpected and yet believable twists, turns and subplots. Good day, afternoon or evening to you all (depending on when you are reading this, of course), and welcome back to what is the 21st issue of Gliding Over the World of Literature. This time around we have decided to take a bit more of a comedic route, gathering all of our facts and news from an intelligent humor website known as Cracked.com ... rest assured though, the findings you will see here today are no less interesting than the ones to have been presented to you in the past. When we explore the great wars which happened before us, most notably the First and Second World Wars, we tend to focus on the ones who gave orders and the ones doing the killing. However, there is a different type of hero who always arises in these situations, albeit he/she is overshadowed by the more graphic, explicit and explosive endeavors of others. 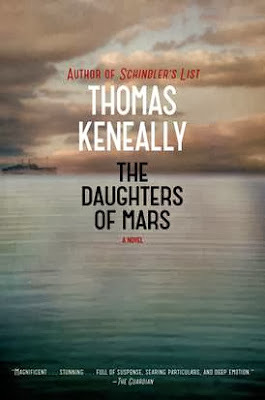 In The Daughters of Mars by Thomas Keneally, we get to follow this type of hero as two young sisters living on a farm in Australia, named Naomi and Sally Durance, decide to join the war effort in 1914 and provide some much-needed relief to those wounded in battle. The book follows them as they venture further and further away from their homeland, making plenty of essential discoveries on the nature of man and the insatiable cruelty of life, all while trying to be that shining beacon of hope for so many who have lost the will. Though many would assume that as the iron curtain fell along with the Soviet Union, that the power struggle between them and the United States would come to an end, those people couldn’t be any more wrong. The country is still there, the people who ran it are still there, and perhaps more importantly, they still want to gain every possible advantage over their competitors. In Red Sparrow by Jason Matthews, who himself is a former CIA officer, we are treated to a post-Cold War espionage thriller as a Russian “Sparrow” agent (professional seductress), Dominika Egorova, is charged with working over a young CIA officer, Nathaniel Nash, who is handling Russia’s most prominent mole. Chances are good that many of you aren’t aware as to who Jim Henson is, much less why he deserves to have his biography written by a writer. Well, as it happens, Jim Henson is perhaps one of the most talented comedians to have lived on this planet, being well-recognized in the artistic community, mainly because he was the founder of The Muppets. 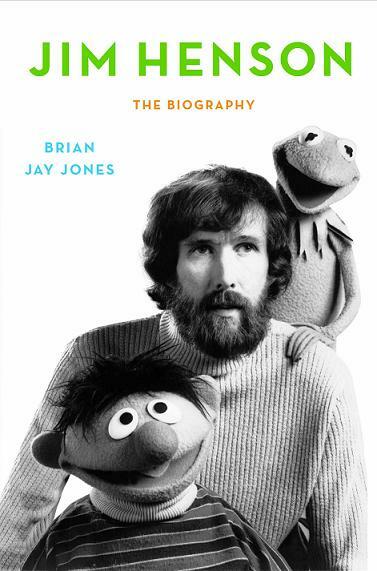 Though he was associated with them forever and they did help him to become a household name, Jim Henson: The Biography by Brian Jay Jones focuses on many different aspects of his life. In this book, we are taken through the comedian’s life from start to finish. The periods of his life that were covered include his childhood in Mississippi, his teenage years, his meteoric rise to fame in America, his battle to bring The Muppets to television, and his last decade during which he was nothing less than an internationally-celebrated artist. The more we distance ourselves from a certain past, the more we tend to simplify things about it, to the point where we have a naively neat and inaccurate representation of what happened. For instance, many people would like to believe that being rich and powerful in the 15th century ensured one a life free of troubles. However, it is very possible that the world of politics and the rich was much dirtier and deadlier than it is today. In The White Queen by Philippa Gregory we are treated to that in all of its glory as we follow the life of Elizabeth Woodville who married King Edward IV to gain power and land. The story is basically taking place in the Court, as multiple hungry candidates for the throne are vying for power one against the other, playing a real game of chess where ultimately there are only two prizes possible: the throne, or death. To get the bad stuff out of the way, though Gregory’s book sure is noteworthy (more on that later) it does have a few flaws. To begin with, she goes back to the imagery of the water goddess Melusina far too many times, and though the descriptions of water are beautiful at first, the start to feel tired and cliché after a while. Second, for a historical novel the details on the characters’ day-to-day lives were quite sparse, which was not only disappointing in terms of learning but also did no favors to the somewhat stiff characters. Also, there are some inaccuracies in terms of how people were portrayed versus what historical documents tell us they were like, as is the case with Richard III’s description. Ernest Hemingway was always known for the simplicity of his language and the meaning he was capable of putting into it. 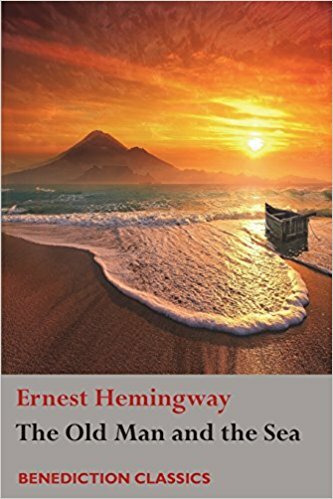 Though many people thought badly of him for it, it is novels like The Old Man and the Sea which make even his most tenacious detractors stand back in awe. For those who haven’t heard of the novel yet, it tells the story of an old Cuban fisherman as he spends the day chasing a magnificent giant merlin down the Gulf Stream in hopes of bringing it back to his family. The whole story pretty much takes place throughout that day, and this means that if you are the type of person who cannot stand to read slow stories, then I recommend you skip on this. It’s a black day in Washington D.C. as an American senator was brutally dispatched in a way that took much more effort than is necessary to kill a person. At the same time, the British are mourning the victim of a very similar murder, a senior member of British Parliament. On the surface, nothing seems to link these two crimes apart from the fact that both of those men were in politics and were dispatched in the same way. 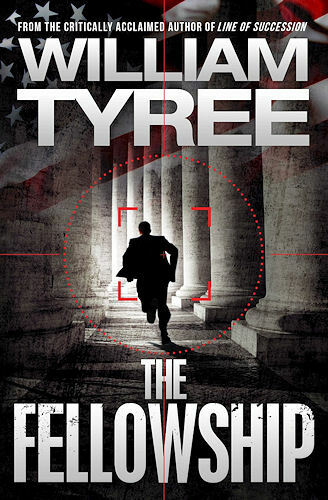 The Fellowship by William Tyree truly starts to pick up once a peculiar intelligence officer, Blake Carver, sets out to hunt for the killers. During his worldwide trek in search of the assailants, Carver stumbles into an ancient order thought lost centuries ago, and discovers that underneath the world we see as safe and stable rages a war threatening to consume everything. Greetings to all and welcome back to Gliding Over the World of Literature, with this already being the twentieth edition issue to be published. In this edition, we are going to take a look at the curious resurgence of a Victorian sleuth lady long lost to our literature, the best books you can read in order to learn about the rich and enthralling Indian history, and we will end things by checking out five books which cover the somewhat forgotten First World War. Most people like to think that they are living their lives towards some kind of purpose, a moment where they have the power to influence the course of history, regardless on which scale it may be. Unfortunately, many of us do not find a purpose until it is a bit too late, but that was never the case of the Mirabal sisters. For those who aren't familiar with them, the four sisters bravely opposed the brutal dictatorship of Trujillo in the Dominican Republic, paying dearly in the process. 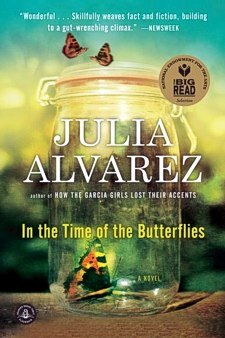 In the Time of the Butterflies by Julia Alvarez is basically a novelized biography of the four sisters’ lives, and more importantly, about the moments which made them infamous to this very day. We get to learn virtually all about them from the moment they were born all the way to the fates they ultimately meet. Living under a dictatorship is an experience that must be lived to truly be understood, but I believe In the Time of the Butterflies comes very close to it. Alvarez gifts us with an extraordinary amount of detail on the various aspects of daily life in the Dominican Republic at that time, carefully making a comprehensive painting of the terror Trujillo inspired in his own people. Naturally, the book isn’t just about fear-mongering, as it does explore the lighter side of that life and what people did to get away from that trouble. 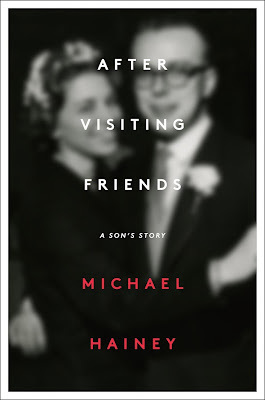 When Michael Hainey, author of the autobiography titled After Visiting Friends, was only six years of age, he already had a face-to-face with death when it came for his father. The latter was thirty-five years age at the time of his demise, and had apparently succumbed to a heart attack while near his car in the North Side of Chicago. At the time, he was on a prominent rise in the world of journalism and had the family life most people can only dream of. And so, the years that followed left Michael with plenty of questions about his father’s suspicious death, and he decided to enter the world of newspapers himself to open up his own, personal case file. When he turned thirty-five, the same age as his father died, Michael began a full-blown investigation into his father’s death, finding plenty of vague inaccuracies and a swarm of people all too keen on keeping their mouths shut. Slowly but surely, he plods his way through the dark world of journalism, finding out many interesting truths in the process, about his father as well as his mother. First of all, if you are looking for some sort of groundbreaking read which ends up in the unraveling of a real-life conspiracy Chinatown -style, then I am sorry to disappoint you, but this story is grounded in reality, and as is often the case, it isn’t nearly as glamorous as it appears on the silver screen. Though the term has taken on a somewhat negative connotation amongst some people, being an immigrant is one of the most difficult and challenging ways of living that can be asked out of anyone. 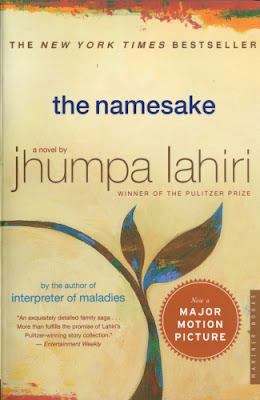 Many people will never know what it is like to leave one’s country, family and customs behind and start from scratch once again, but The Namesake by Jhumpa Lahiri does a good job at giving us a realistic impression of it. In this book, we are told the story of a young couple who, after an arranged marriage, decide to move to Cambridge, Massachusetts in hopes of starting a new life. While the husband is more readily adapting to the new way of life, the wife is more resistant to the assimilation, always clinging to memories of her life back home. And then their son is born, named Gogol Ganguli after a Russian writer and a catastrophe. He too quickly learns that being the son of immigrant parents is far from being a walk in the park, being stuck between two worlds: the old Indian and the new American ones. A disgruntled rabbi gives birth to a golem, only to die while it is still at sea, letting it drift all the way to 19th century New York City. Without a master or a plan, the golem is left without a purpose… only a conscience. At the same time, a Syrian Jinni trapped in a lamp for over a thousand years has finally gained freedom, only to also find himself in New York, in a world he can barely comprehend. The two stumble around without a real goal, until they finally meet each other, forming a connection and a friendship none could have predicted. The two otherworldly creatures then begin to travel onwards (metaphorically), trying to find the two things they do not have: sense and purpose. 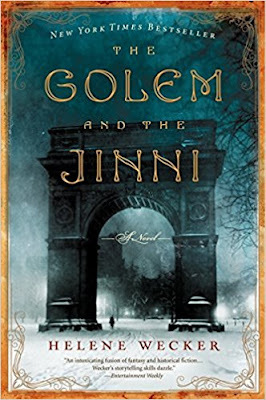 Such is the premise of The Golem and the Jinni, Helene Wecker’s much-acclaimed debut novel. When I picked the book I was a bit surprised with myself; the author didn’t have any previous works for reference, and the story in itself seemed a bit childish at first glance. However, all of my expectations were blown away after the first few chapters, mainly because there are so many different things happening in this novel all at once. Because the whole concept of the royal court has pretty much dissipated over a hundred years ago (for the most part at least), the perception we have of that time period is indeed quite narrow and limited to only its main aspects. In reality, however, life for the nobles was very far from being a gift, especially for those who had to live with a childish and volatile king who always got his way. 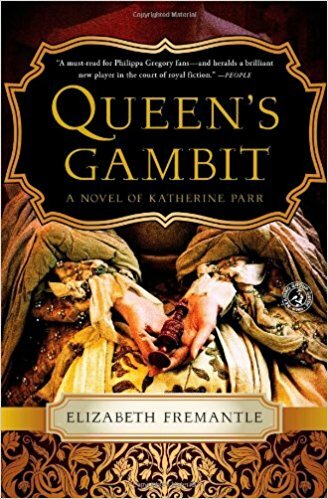 Queen’s Gambit by Elizabeth Fremantle tells the story of Katherine Parr who, after recently becoming a widow, catches the eye of the notoriously short-tempered and borderline psychotic king, Henry VIII. The entire story is dedicated to Katherine’s day-to-day struggling and scheming to stay afloat and hopefully come out on top in a very turbulent time where traitors were found aplenty and various factions gained power left and right. If you are a fan of stories revolving around nobles of the 16th century, then this is one book you cannot pass out on. I have to admit that even after having my fill of the early modern period right after the Middle Ages, this novel still managed to hook me into it. Virtually every action and word spoken is part of some kind of scheme or strategy, turning the story into a different kind of war, one we are not used to seeing so much of these days: an intellectual one. Katherine is especially fascinating to follow, for even though all of the odds are against her and point to her demise, she still manages to stay afloat and slowly gets ahead, one move after the next. In 1944 most of the world was at war in Europe, trying to push back the Axis forces to whatever circle of hell they crawled out of. Though things were looking up quite well for the Allies by that point, the war was still far from being won, and neither side could really envy the other. Needless to say, plenty of noteworthy and forgotten exploits were committed during that year, many of which we will sadly never learn about. However, one of the most important acts of bravery is slowly being forgotten and eaten away by history: the rescue operation behind enemy lines in Yugoslavia to bring back home more than 500 crashed pilots and airmen. 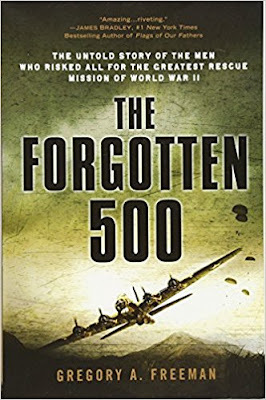 Recently, the files surrounding the rescue became declassified, and Gregory A. Freeman jumped on the opportunity to offer a real and accurate account of the events, and so he did in his book titled The Forgotten 500. Hello to all and welcome back for yet another exciting edition of Gliding Over the World of Literature, where exhilarating news from the book world never stop flowing in. This time around, we will take a look at the most recent winner of the PEN Center USA Prize, awarded by Harrison Ford himself, the craft of hiding 19th century works of art in books, and a chance to see for yourself some of Scotland’s oldest and most treasured works of writing. The date is November 5th, 1942, and the U.S. Army has lost one of its cargo planes as it has apparently crashed in an ice cap, located in one of the most hostile places on Earth, the ironically-named Greenland. In an attempt to rescue the crew and salvage the plane, a B-17 bomber was sent… and it crashed too, though thankfully the entire crew survived.As the U.S. launched a rescue a operation, one of the nine men got picked up and seemingly rescued by an amphibious plane… until it too, crashed and disappeared into a severe storm. Frozen in Time by Mitchell Zuckoff basically tells the story of those crashes, and mainly, how the B-17 bomber crew managed to stay alive in such hostile conditions, slowly plodding their way towards hope and salvation, surrounded by nothing but the unforgiving arctic wilderness. First off, by all accounts, these crashes detailed here did happen in real life during World War II, and just like in the book, at least certain members of the crew survived. What we have here is a novelized version of the truth, so we can expect a bit of distortion and sensationalism here and there because after all, the point of a book is to entertain. Zuckoff takes care not to just make this into an enumeration of facts; he breathes life, drama and excitement into a story that is already full of it, giving us a chance at actually getting emotionally involved and caring about the fates of those who already went through these things years ago. In 1912 came the most humiliating and dreadful day, at least so far, in the life of well-known American president, hero, and general badass, Theodore Roosevelt; he lost the election more convincingly than he could have ever imagined. In order to set his sights away from such a stunning defeat, he decided to do what any other person would: he set out to explore a dangerous and unmapped part of the Amazon, alongside his son, Kermit, a few crewmen, and a famous Brazilian explorer, Candido Mariano da Silva Rondon. 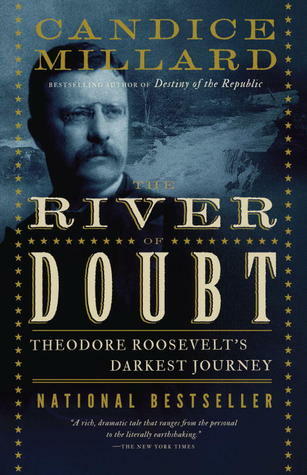 The way through the Amazon was certainly far from being easy, as Roosevelt and his group encountered murderous Indians, betrayal, starvation, treacherous rapids, rampant disease, and perhaps even more devastatingly, a lack of hope. River of Doubt by Candice Mallard is a narrative which recounts those events as they were later chronicled, and the author is only sprucing things up superficially to make this into a story rather than a historical document. Now, the story is more than a hundred years old at this point, and unfortunately there is no real way of knowing whether all the facts we dispose of are correct, so I’d say that if there is any embellishment or lack of accuracy, it ought to be forgiven. 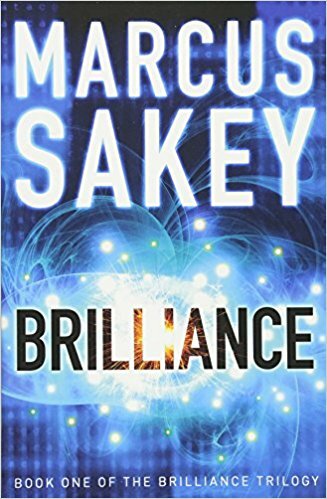 Brilliance by Marcus Sakey tells a story taking place in a world exactly like ours, with one small difference: some people are brilliants. Basically-explained, “brilliants” are people born with extraordinary powers, such as the ability to read minds or turn invisible when no one else is looking (nothing world-breaking or completely supernatural). Some perceive them as a threat, others as the next step in evolution… the government, of course, is all about controlling them. The story follows a young and naive FBI agent, Nick Cooper, who himself is a brilliant who can see patterns in people, as he tries to bring to justice one of his own people, an evil man hell-bent on bringing chaos and destruction to the world. Though the author may have you believe that the ideas used in the book are completely new and there are plenty of clever plot twists, I would beg to differ. For starters, the ideas used are startlingly similar to those found in X-Men, a long-running comic book where instead of brilliants people with powers were called mutants. Also, without breaking the read for you without any spoilers, I found some of the “twists” to be cookie-cutter and generic, just like a good part of the so-called social commentary found within. There is a good chance that the “big” revelation will have you rolling your eyes. 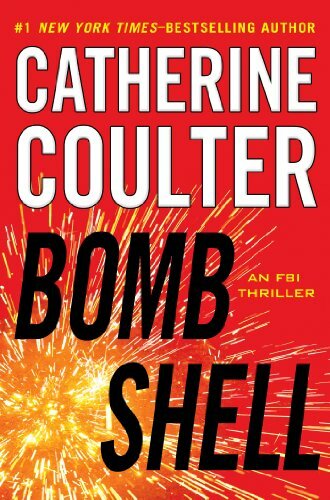 Catherine Coulter has made a name for herself as a prolific FBI thriller writer, and Bombshell is her seventeenth work in this genre, once again following the trials of FBI agents Dillon Savich and Griffin Hammersmith. In this story, they tackle two cases which appear to be unrelated, with the former attempting to track down the one responsible for the brutal murder of the son of a former Federal Reserve Bank Chairman, and Griffin trying to solve a mystery which began with his own sister waking up after a party, covered in a stranger’s blood. As the plot thickens, the two cases become closer and closer, until the connection between them is unveiled, making way for a monstrous plot few could have foreseen. 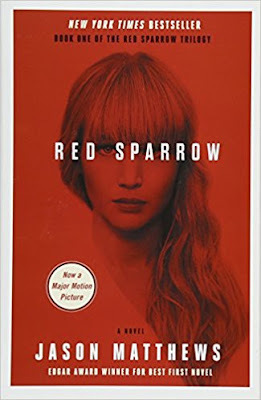 Though I certainly do like original thrillers which bring new elements to the table in an attempt to amaze the reader, I also like novels such as this one, which are more on the “fun” and “time-wasting” side of literature. 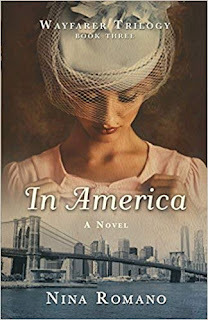 Unlike in her previous novels, Coulter seemed to be lacking that special something which made her works truly eye-catching; whether it’s being burnt out or for a lack of effort, it doesn’t change the fact that it can be a bit hard to relate to the characters and at times, the novel is slightly boring and predictable. In other words, this novel surely has its flaws. 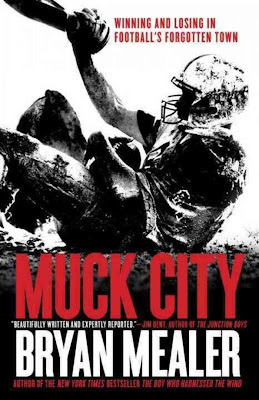 First off, though it may seem like a real story at first, Muck City by Bryan Mealer somewhat thankfully happens to be a work of fiction, though it isn’t so far-fetched that its events could not be reproduced in the real world. It tells the story of three young people living in the Everglades burg, a place where poverty, violence, drugs and AIDS run rampant and where very few actually make it out of there. Our first protagonist is a quarterback by the name of Mario Rowley, who dreams of nothing more or less than winning a championship to finally appease his deceased parents. The second person we follow is a former NFL star and head coach Jessie Hester, as he returns to his hometown in an attempt to help save its youth. Greetings to everyone, and welcome back to my domain for yet another edition of Gliding Over the World of Literature, this being the 18th one. This time around, we are going to delve into the posthumous release of new J.D. Salinger books recently discovered, the ten greatest books ever written according to Time, and an interesting exposition of rare books where the visitors are encouraged to gently touch and read through them.